This course is recommended for students following specializations in signal processing and communications, or other tracks such as data science. Students learn to master a rich and wide range of tools and concepts related to the analysis and understanding of signals and systems in the discrete-time domain. The course covers the fundamentals of signal and system analysis in the discrete-time domain. These types of signals and systems are prevalent in the digital world we live in, where signals (such as speech signals, communication signals, or biomedical signals) are often sampled and stored in digital form. Discrete-time signals may also arise naturally (such as financial data trends, levels of monthly rain falls, or population trends). Discrete-time systems operate on signals and transform them from one form to another (such as eliminating background noise from a speech signal, transforming female speech to sound like male speech, predicting the trajectory of a moving object, etc.) Systems perform processing on signals and extract information from signals. In this class, you will learn how to analyze signals and systems in three domains: the time domain, the transform domain, and the frequency domain. In particular, the course covers topics related to properties of signals and systems, linear and circular convolution, difference equations, z-transform and its properties, transfer functions, discrete-time Fourier transform (DTFT) and its properties, discrete Fourier transform (DFT) and its properties, and sampling and reconstruction. The course considers illustrative examples related to carbon dating of ancient artifacts, eliminating 60Hz interference, design of oscillators, touch tone telephony, the concept of feedback, filtering, echo cancelation, sampling and aliasing. It is recommended that students have some familiarity with the study of continuous-time signals and systems, including the concepts of convolution, differential equation models, Laplace transform, and Fourier transform. Although these concepts will be called upon rarely in the course, students will be able to appreciate better the analogy (and discrepancies) between the discrete and continuous-time domains. Fundamental sequences, periodic sequences, energy and power sequences, discrete-time systems and properties, linear time-invariant (LTI) systems, IIR and FIR filters, impulse response sequences, linear and circular convolution, homogeneous difference equations, zero-input and zero-state solutions, solving difference equations, z-transform, inverse z-transform, unilateral z-transform, transfer functions, Discrete-Time Fourier Transform (DTFT), frequency response, digital filters, Discrete Fourier Transform (DFT), Fast Fourier Transform (FFT), sampling and Nyquist condition, sampling and reconstruction, aliasing.
) is professor and former chairman of electrical engineering at the University of California, Los Angeles, where he directs the UCLA Adaptive Systems Laboratory. An author of over 480+ scholarly publications and six books, his research involves several areas including adaptation and learning, network science, information processing theories, and biologically-inspired designs. 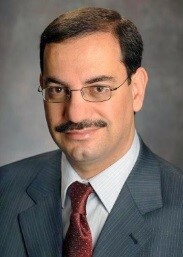 His work has been recognized with several awards including the 2014 Athanasios Papoulis Award from the European Association of Signal Processing, the 2015 Education Award, the 2013 Meritorious Service Award, and the 2012 Technical Achievement Award from the IEEE Signal Processing Society, the 2005 Terman Award from the American Society for Engineering Education, the 2003 Kuwait Prize, and the 1996 IEEE Donald G. Fink Prize. He served as a 2005 Distinguished Lecturer for the IEEE Signal Processing Society, and as Editor-in-Chief for the IEEE Transactions on Signal Processing (2003-2005). His articles received several best paper awards from the IEEE Signal Processing Society (2002,2005,2012,2014). He is a Fellow of both the IEEE and the American Association for the Advancement of Science (AAAS); the publisher of the journal Science. He is recognized as a Highly Cited Researcher by Thomson Reuters. He is serving as President-Elect of the IEEE Signal Processing Society (2016-2017).